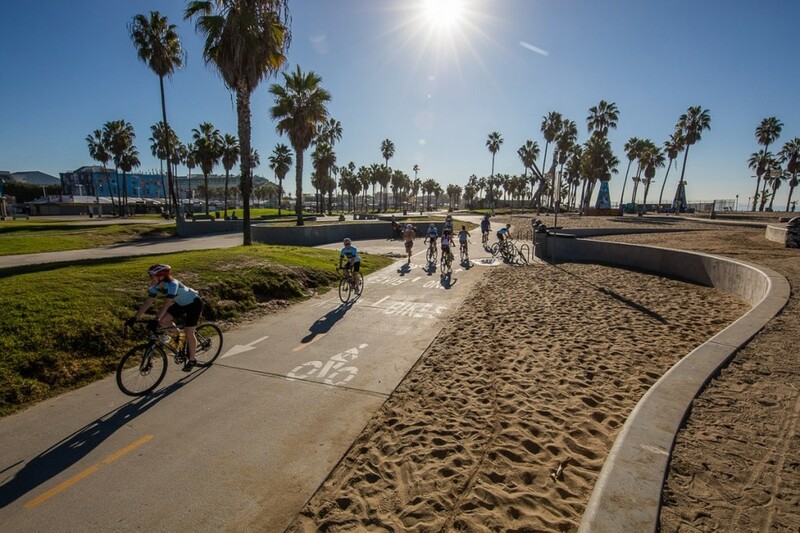 On the 1st of November we pedalled out of Los Angeles, cycled along the bike path through Venice Beach, and up into the Hollywood Hills. By we, I refer to a group of sixteen cyclists clad in matching lycra, with one difference. Each of us belonged to either Team Deman or Team Garin. This is the story of how Race The World changed my life. The challenge was to cycle from LA to Miami over 14 days, covering 2700kms through eight USA states. The two teams were captained by myself and Rab Wardell, each developing it’s own strategy and personality. At the end of the first week, Team Garin, captained by Rab, had won five of the first six stages. With Team Deman winning one stage, the points were at 7-11 in Garin’s favour (lowest score wins). By the end of the race, we had made a strong comeback and won a series of tough stages often with it being just a few seconds seperating us after a full day of racing. Each stage was between 60-145 miles long. Crazy how it could be so close after such a long day of racing! Made for some intense nights in camp and a big focus around refining everything we could to shave seconds and achieve marginal gains. 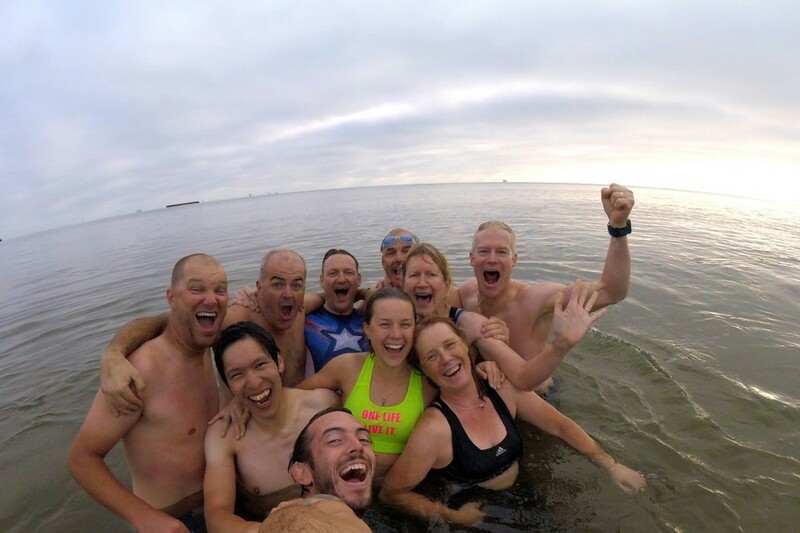 14 days after setting out from LA we rolled into Miami and jumped in the Atlantic Ocean in our lycra. Team Garin claimed the win with only one point seperating the two teams. The final score was 17-18. Although Team Garin won, everyone who took part in the race and everyone involved in the organisation were winners by making the decision to be there. The concept of Race The World is the first of it’s kind, a long-time dream of Race Director Gary Willis. Run by Limelight Sports with many years in the making, I loved seeing how one person setting out to make their dream happen, can create the opportunity for other people to live out their dreams too. For me, racing my bike across the USA, captaining a team, setting a daily strategy and working with my team to utilise everyone’s strengths and weaknesses, to motivate them and together to achieve an outstanding performance; was a dream job. 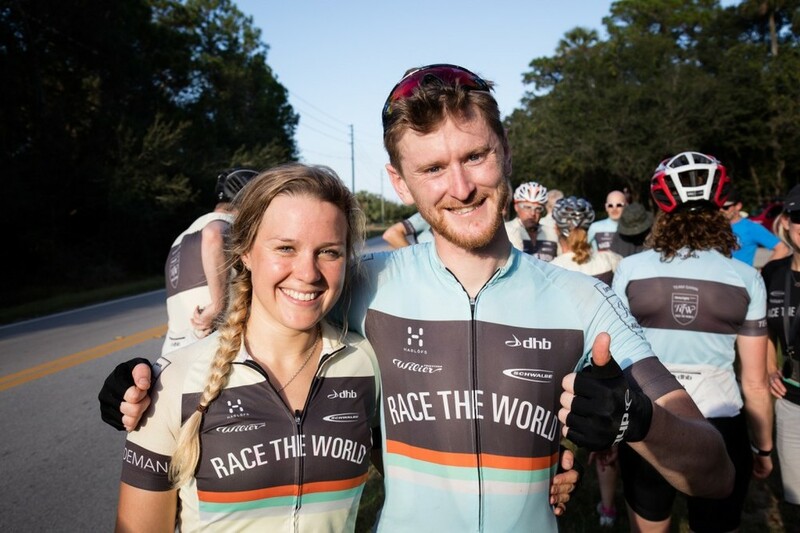 At least two members of Team Deman said it had always been their dream to cycle across the USA. It takes courage to make your dream happen, to forge a new path where no-one has gone before. To Gary and everyone who believed in his idea and helped make it happen, thank you. What happened between LA and Miami that had such a profound impact on me? I feel life is about moments and the journey from A to B. The journey from the people we are today and who we become. The story of what we do, share and experience that impacts who we are and our outlook on the world. 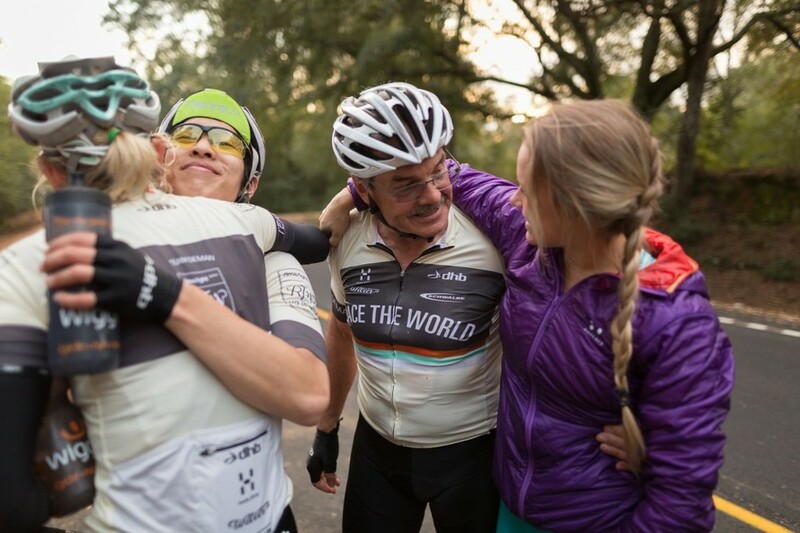 Race The World was a collection of beautiful, challenging, rewarding, sad and happy moments. The moments that played out on the road, the ones that were shared in the team bus and in camp each night created a truly amazing experience. They say laughing can add years to our lives. Perhaps we can now expect to live an extra few years thanks to Race The World; there was so much laughing. 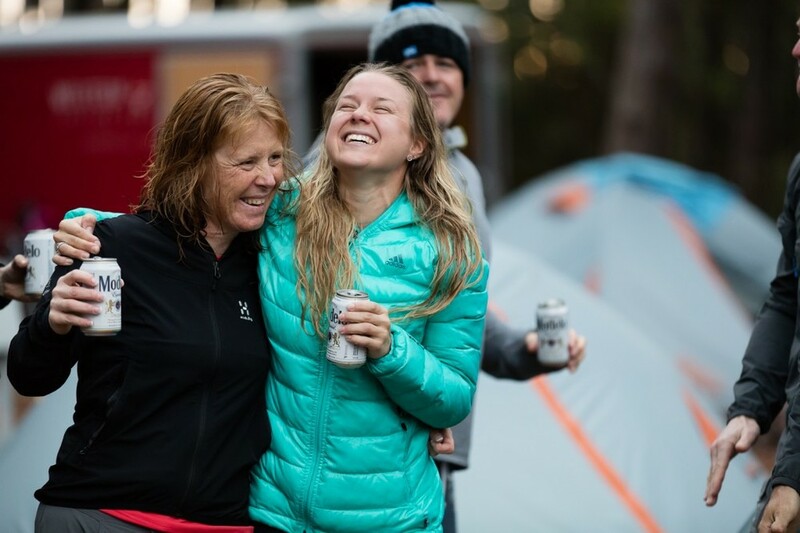 At the heart of Team Deman, there was laughter, smiles and fun. This developed into an incredibly tight bond between everyone in our team. Everyone was happy and grateful to be exactly where we were, creating a lightness that counteracted the serious demands of the race and the impact of our individual performance on our result. We bonded through laughing. Through moments which will make us smile forever; when we tried to make a Team Deman echo whilst cycling through the desert in Arizona. The way we couldn’t clap in time to our song “Lean On Me”. The presents we bought for each other in petrol stations. The debate around should we/shouldn’t we buy the Jamaican bobsled team outfits to reflect how we felt our performance matched the team in Cool Runnings. The list could go on. Moments we’ll keep with us forever. Over two weeks on the road we experienced a transformation from being eight strangers, eight lone cyclists, to becoming a close knit, high performing team that felt like a family. This transformation was reflected in our results; Team Deman became stronger and won more stages as the race progressed. It also shined through the way we lifted each other, truly drawing from each other’s strengths to create a team operating at his highest capacity at all times. As Team Captain, I aimed to create a strategy that incorporated everyone’s input and drew from what each of us could add. Ray uncovered a strength he didn’t know he had, Lee brought his coaching skills into the arena helping everyone develop and nurture new skills. Tim was our power house showing huge strength of body and character, never once letting ego affect his performance or what was best for the team. Debbie and Rachel broke through their limitations and unleashed phenomenal power and strength. Jerry held everyone together with his kindness, humour and ability to stay calm under pressure. Helmut, our legend, aged 67 was a true inspiration to us all. It is rare in life that we live entirely in the present moment. This is what adventure brings to my life. At the outset of the adventure there is a plan to get from A to B, but between those two points lies a great unknown and it’s the unknown that makes it an adventure. Not knowing what will happen, but being armed with the resources I need to manage any situation that arises is what excites me about the challenge ahead. Race The World was possibly the most intense and demanding two weeks of my life. Each day we would wake at 5am with a tight schedule ahead. Arriving into camp later that day either in the dark or with an hour of dwindling daylight left. Each day we travelled in the minibus, cycled harder and faster than I’ve ever cycled before, travelled through another state, ate and drank, created, implemented and revised a team strategy, briefed and de-briefed with both the race organising team and Team Deman, fixed bikes, washed clothes, showered and did the best I could to record and share the journey. I’d get into my tent each night and have a few minutes to think about what happened before doing it all over again the next day. In such a demanding environment, the only way to get through it and manage the increasing fatigue from racing, it is to focus entirely on the now; what needs to be done to get through the next hour. I find this very liberating. It frees me from the pressures of daily life to make progress, to answer emails, attend meetings and make phone calls. Every ounce of energy I had went into getting through the day, doing my job to the best of my ability and riding my bike as hard as I could to help Team Deman achieve the best result we could. Rolling into Miami 14 days after leaving LA, I felt like a different person. The combination between cycling on the open road day in day out, being surrounded by so much love, support and happiness within our team, being witness to the transformation and journey each of us went on and living the dream adventure of cycling coast to coast USA was an amazing experience. It all boils down to one factor; people. Team Deman rocks! On the last day of the race we stopped at a petrol station and found this sign in the toilet. Very apt!